Life is too short to remove USB safely, goes the old saying, and it seems as Microsoft has finally heeded the call. As of the October update for Windows 10, you will no longer need to go through the quick, but annoying process of “remove USB safely”, before pulling the plug on any removable storage you may have plugged in. 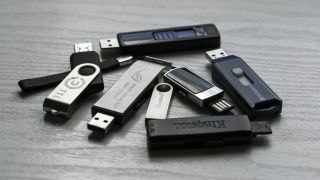 This includes USB disks, external hard drives, flash drives, even USB connections between the computer and a smartphone. As delightful as this slight perk may sound, there is a caveat to it – data transfer may be somewhat slower. This is because when you move data between a computer and a flash drive, Windows caches data while it’s being transferred. And that was the default setting, which forced people into manually ejecting any USB drives before being able to pull them from their machine without risking losing files. This default setting, however, has changed with the Windows 10 v1809, to “Quick Removal”. Right-click Start and go to File Explorer. There, right-click the device’s label and go to Properties. The second tab to the right should be “Policies”, which is where you can choose between “Quick Removal (default)” and “Better Performance”.